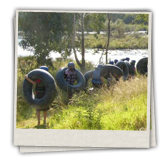 Tubing on the Vaal is done by Vaal Adventures at Parys or the upper Vaal river. 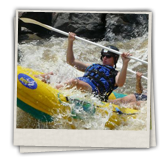 Very scenic views are seen floating down the river and going down small rapids. A moderate level of fitness is necessary and our experienced guides accompany you. 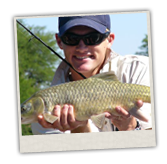 Vaal adventures offers a truly unique fishing experience with our raft fishing safaris on the Vaal River in the Vaal Triangle and Parys area. We combine river rafting with fishing. Vaal Adventures offer a truly unique playing field that is both challenging and spectator friendly. We can bring our mobile field to your school or business. The upper Vaal River is away from the commercialised Parys stretch. More rugged and adventurous. You will be away from the crowds. It has a nice country feeling, and bigger rapids on low water levels than Parys. Raft through many islands and small channels. Only an hour’s drive from Johannesburg and Oliver Tambo international airport. No experience needed. We supply all equipment. Raft lunch can be arranged at additional costs. 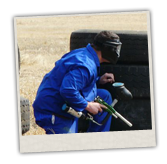 At Vaal Adventures we facilitate our own activities. Please note that we can book all your Adventure Activities. We are mobile for a number of activities. If you have a suitable venue we will come to you! Contact Vaal Adventures today for a tailor made package.